Ken Roczen has always been one of the most open and honest racers in the pits, and so his short two-race slump of sub-par finishes has already resulted in a surprisingly candid response. 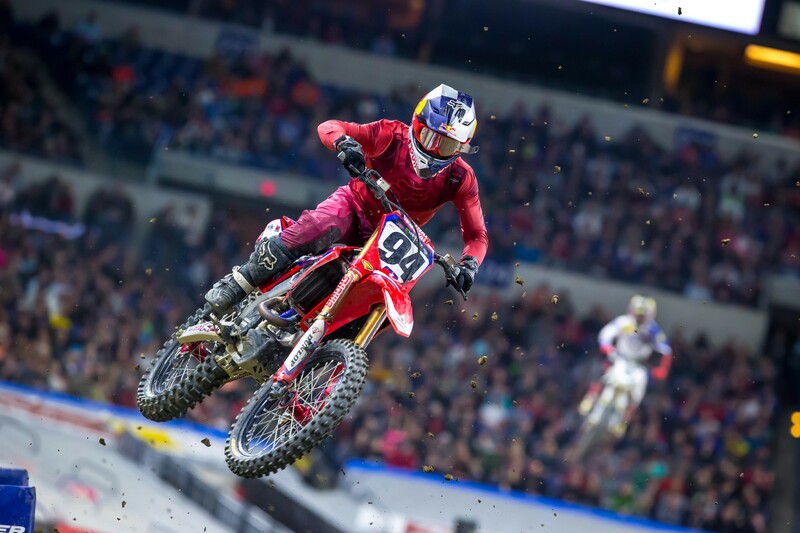 After finishing eighth at the Indianapolis Supercross, which dropped him 27 points down from championship leader Cooper Webb, he could have just said he got a bad start on a track that didn’t offer much passing. No one would have noticed. Roczen finished inside the top five in all of the first nine rounds. Now he has back-to-back eighth-place finishes. What could be the problem? Surely Kenny will be subjected to some tests to try to figure out why he’s not feeling 100 percent, physically. Remember, this is the first season where Ken has made it out of the West Coast races healthy, which means he’s taken on the load of pre-season training and then 11 races in 11 weekends for the first time since 2016. Is he just feeling run down? Can he get his energy back in time to get that ever-elusive victory and make a title run? Time is running out, and stressing over it probably will only make things worse. There’s quite a bit of struggle over at Honda right now, as Cole Seely, Roczen’s teammate, has shown signs of speed all year but is still without a podium finish. For Seely, he’s still looking for that mental edge after his big crash and injuries last season. For Roczen, he’s looking for answers on the physical side. Either way, the long slog of a long season has taken a toll on Team Honda HRC. Can they find some answers? The CTR Motorsports rider talks about having his family at every race, running laps at ClubMX, and more.